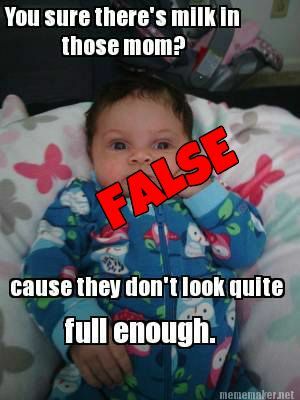 We always get a lot of these common myths come to us at Breastfeeding Mama Talk in form of questions. We feel this will help a lot of women, especially the ones who run their breastfeeding experience believing those myths. It is important to us that women know the correct information going into their breastfeeding journey. We hope this article will be spread around to help women who currently believe these myths because we hate having women be fear mongered or coerced into believing false information. Myth- 1.) 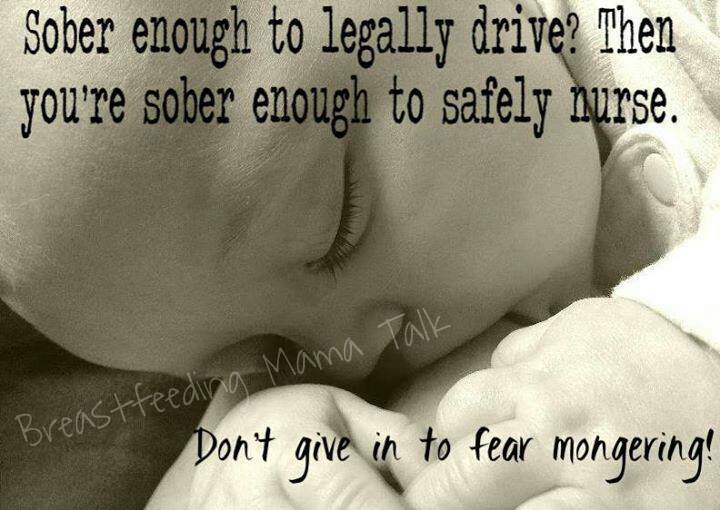 You can't/shouldn't consume any alcohol during the whole duration of your breastfeeding experience. Don't let society place unnecessary restrictions on you. This is definitely on the top of the list for one of our most hated myths that women believe. The truth is there are safe ways to consume alcohol while breastfeeding. There are already so many restrictions people try to place on breastfeeding mothers or even restrictions mamas place upon themselves, but restricting alcohol out of your diet all together doesn't HAVE to be one of them. No we aren't saying to go get drunk every night of the week, we're also not saying to get drunk at all. Why must it be one extreme or the other on this issue? Either people say that women should cut the alcohol out all together or they assume that when people say it's okay to enjoy a beer or a glass of wine means we're condoning women to binge on alcohol. Moderation is key , and we have detailed article on that in our information section- "Breastfeeding and Alcohol." Myth- 2.) You can't get pregnant when you are breastfeeding. The woman in this picture is a prime example that this is a myth because she got pregnant while she was still exclusively breastfeeding her first daughter. One of the biggest misconceptions when breastfeeding is that you can't get pregnant. Although it would be nice to be able to regulate your ability to conceive, it's just not the case. In fact, I'm pretty sure you know or know of someone who has children REALLY close in age. In our family we call these bundles of joy "surprises", as in, "SURPRISE! You're now pregnant and only 6 weeks pp because you were misinformed about your ability to get pregnant just because you are breastfeeding! Myth-3.) You should avoid eating certain foods while breastfeeding and be restricted to a strict diet. "What foods must I avoid while breastfeeding? I get asked this question a lot. Generally, you can eat whatever you want when you are breastfeeding. There are very few limitations. Obviously, you will want to limit caffeine & alcohol consumption, but that doesn’t mean you can’t consume ANY. You do want to avoid certain fish & shellfish due to mercury & PCB levels, but you should probably avoid them anyway. Those would be shark, King Mackerel, Swordfish & Tilefish. Also, if you have any family history of food allergies, proceed with caution & watch the baby for adverse reactions. Other than that, eat a variety of foods! Your diet during lactation actually influences your toddler’s food preferences, so the more variety you consume, the better! There is no truth to the myth that beans, broccoli, cauliflower, onions, garlic, peppers, etc will upset your baby’s tummy. High acid foods will not change the pH of your milk either. Spices & strongly flavored foods will likely change the flavor, but most babies enjoy this! In short, do not feel that you have to deprive yourself of your favorite salsa while you’re breastfeeding. Enjoy!" Myth-4.) Breastfeeding is not needed past the ages of 6 months to a year. The World Health Organization’s (WHO) very stance on breastfeeding is a, “global public health recommendation, infants should be exclusively breastfed for the first 6 months of life … [then] infants should receive nutritionally adequate and safe complementary foods while breastfeeding continues for up to two years and beyond” (p. 7-8). This statement allows for breastfeeding well into toddlerhood of a child, and it does not, ever, state a specific time frame for weaning to occur. Breastfeeding for extended periods of time is beneficial. First, Mandel, Lubetzky, Dollberg, Barak and Mimouni (2005) state in their study that as breastfeeding continues on into the first year the energy and fat components of the milk increase exponentially, up by 28% more. One reason for this is as the milk volume that the child intakes is reduced once the child consumes more solid foods, it is countered by an increase in overall energy (p. e433-e434). Another beneficial reason for this fat increase is because oftentimes children do not eat a lot or only eat a certain type of food; therefore, it is great to know that they are still receiving adequate amounts of energy and fat for their rapid growth. A second reason, as discussed by Oddy, Li, Whitehouse, Zubric, and Malacova (2010), in their study, is that when a mother primarily breastfed for 6 months and longer, there was a statistically significant relationship to 10 year old children having higher scores in math, spelling and reading (p. e142). A third study, done by Duazo, Avila, and Kuzawa (2010), discovered that when children were breastfed for longer than 12 months they had a higher score in psychosocial maturity at the age of 5 years, than those who had been breastfed for less than 6 months (p.5). Lastly, Belfield and Kelly (2010) found in their study that breastfeeding was negatively associated with obesity, that is children who were breastfed were 4.7 – 8.8% less likely to be obese than mothers who formula feed (p. 23). This could be attributed to a multitude of aspects that I know off, including children being fed-on demand and learning to understand their satiety levels to a fuller extent. Myth-5. )- I do not make enough milk for my child because I am no longer engorged. Roughly, after the first 6 weeks of breastfeeding, your supply begins to regulate. This is because your body is more in tune to your child, and understands the correct supply for the demand your infant is making. Therefore, you may no longer feel engorged between feedings, and this is totally normal. All that matters is that your child is having 6 or more wet diapers a day at this point and that you are seeing a steady weight gain. If those two aspects are being met, your child is getting enough from you. It is important to understand this, because according to Statistics Canada, the number one reason women stop breastfeeding in Canada is due to a perceived lack of milk. Myth-6. )- I am sick; therefore, I should not breastfeed my infant, because they may get sick. 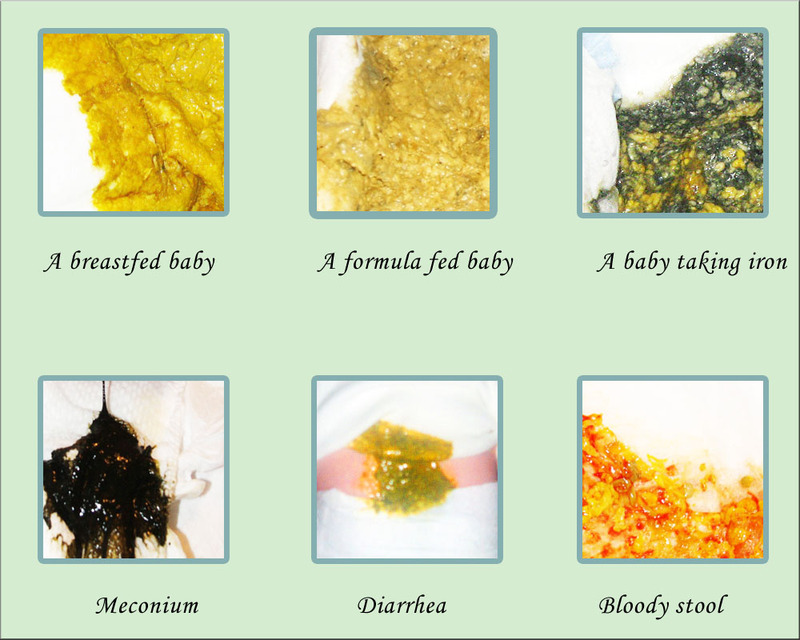 If you are ill chances are before you even realized you were ill you exposed your infant to the microorganisms that are causing it already. As well, during the full length of your illness you will continue to expose them to the bugs that are making you sick. Therefore, the best preventative measures against your child becoming sick themselves is to continue breastfeeding. This is because breast milk is full of white blood cells and the antibodies that your body has made to combat your infection. By breastfeeding you pass all this good stuff onto the baby, which gives their immune system a boost, and helps them stay healthy. In actual fact, many times when everyone in a household is becoming sick, the only one who stays healthy is the breastfed infant. Or if they do become ill, their illness is much less severe than every other person who is sick. However, these circumstances can vary slightly if you have to go on medication, and at that point you should definitely discuss with your doctor that you are breastfeeding and what can be done to make sure any medications are compatible. Once a child is older than 6 weeks, this is definitely not the case. In fact, a breastfed baby can go up to a week or longer without pooping and this can be totally normal. This is because breast milk is such an amazing source of nutrients that it can all be broken down and used by the body, leaving very little or no waste. As well, this means breastfed babies are rarely constipated, therefore it is not imperative that you resort to drastic measures to make them poop. All you have to look for is whether your infant seems to be in any pain or is straining when trying to defecate. If this is the case, try these measures: a warm bath, bicycling the legs, tummy massage with peppermint leaves, and feet massage (reflexology). If these methods do not work, at this point contact your health care provider for further suggestions. Myth-8. )- Premature babies can't breastfeed or Premature babies need formula not breastmilk. Myth 9.) - You will FOR SURE lose weight by breastfeeding. The truth is you actually burn up to 500 calories a day just from sitting down and nursing baby. So there is a possibility along with eating right and exercising that breastfeeding could play a part in weight loss, but breastfeeding alone is not the miracle weight loss secret of breastfeeding moms. Straight of the breastmilk counts website shows a picture on some specific reasons premature babies need breastmilk.